Maples have leaves that are opposite in arrangement, usually simple in complexity with a lobed margin. 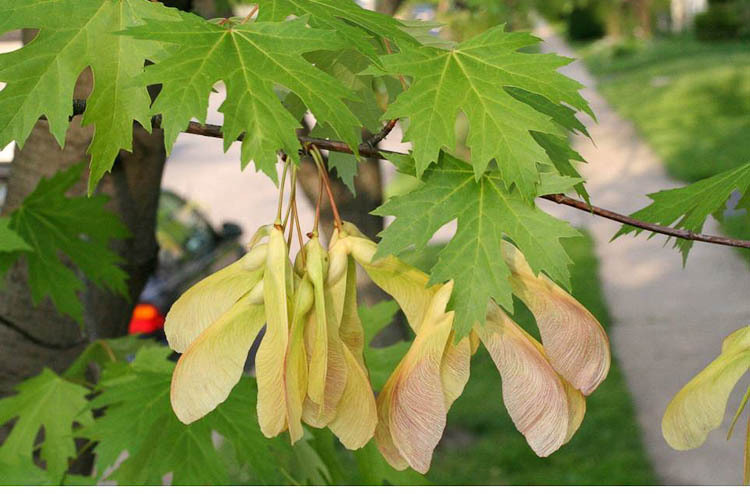 Also, the paired winged fruits (samaras) are distinctive maple traits. Maple leaves are opposite, simple (usually) and lobed. Maples fall into two categories. 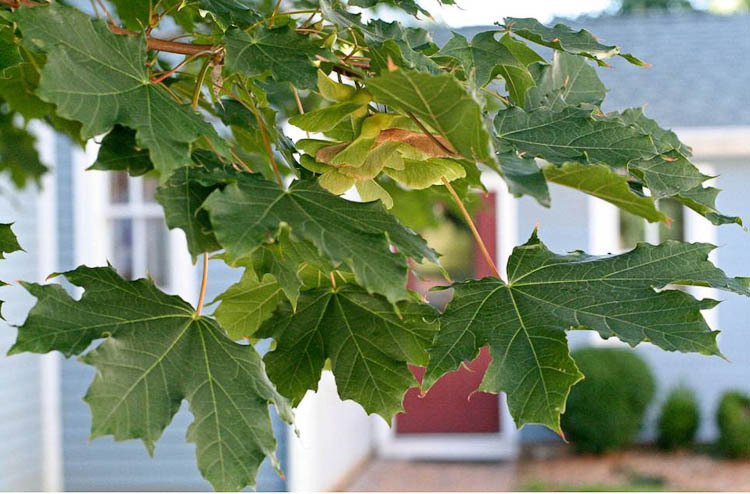 The so-called “soft maples,” of which silver maple and red maple are examples, have serrate (toothed) lobe margins. This is silver maple (Acer saccharinum), distinguished by its deeply lobed leaves with sides of the terminal lobe diverging (V-shaped). Silver maple is a soft maple: note the serrate lobe margins. 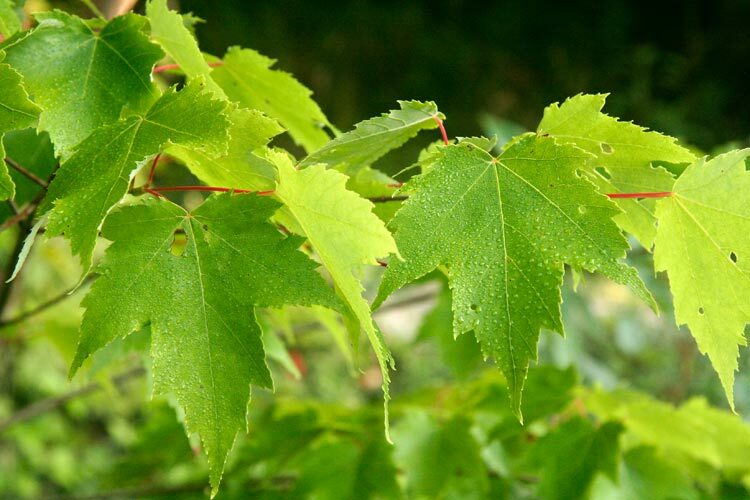 Our other soft maple is red maple (Acer rubrum), the leaves of which are less deeply lobed, and the terminal lobe is more parallel-sided. Red maple is a soft maple: note the serrate lobe margins. 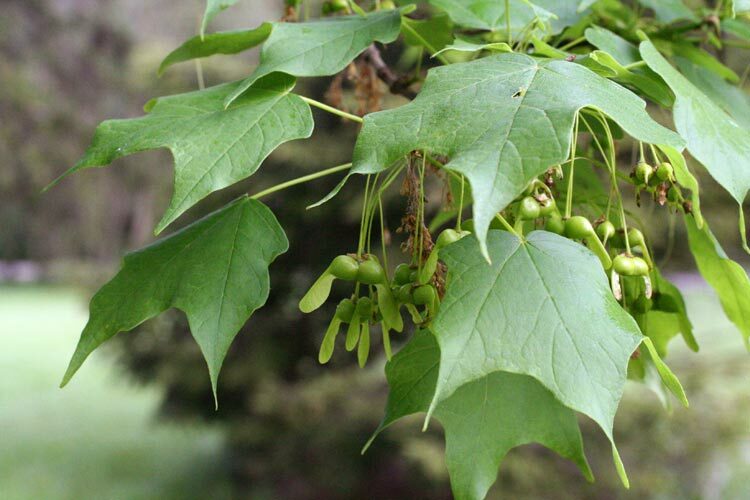 Sugar maple is a “hard maple.” It is also the source of maple syrup, which comes from the sap when it flows most strongly during a thaw in late winter, usually in February. It takes about 40 gallons of sap to make one gallon of syrup! Sugar maple is a hard maple: note the lobe margins are not serrate. 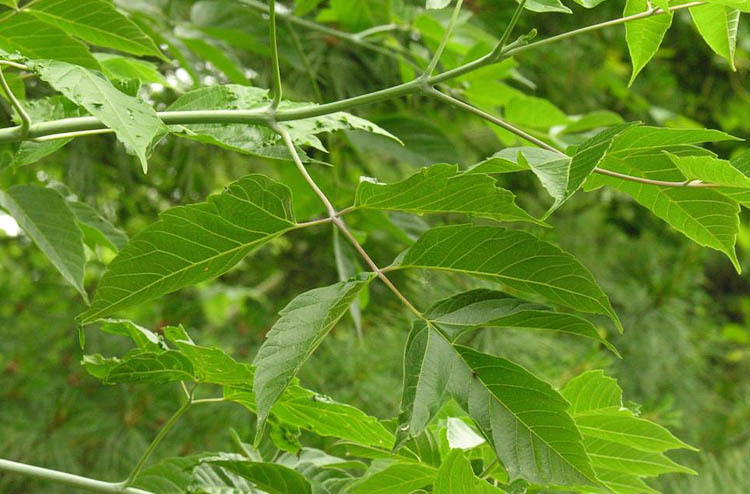 A maple with very distinctive leaves is boxelder, also known as “ash-leaved maple.” It has pinnately compound leaves! Boxelder maple leaves are pinnately compound!